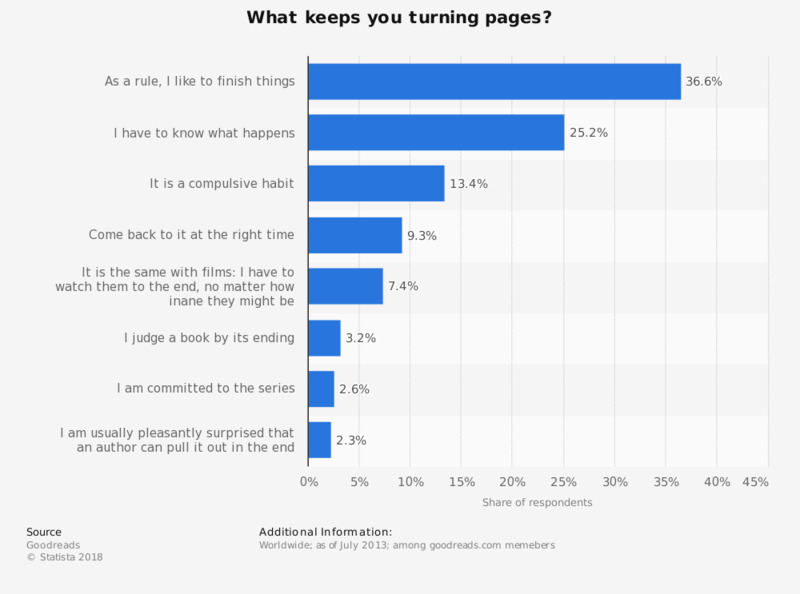 What keeps you turning pages? The statistic presents data on the reasons why readers continued reading a particular book. During the survey carried out by the social cataloging website Goodreads.com in 2013 among its memebers, 3.2 percent of respondents stated that their reason was that they judged a book by its ending. The source does not provide survey data (no. of respondents, their age, exact date of survey and its type). Statistics on "Book market in the United Kingdom (UK)"
When was the last time you spent money on a printed book? What is it about a book that makes you turn it down? When do you abandon a book? How often do you do each of the following? Is it appropriate or inappropriate to display books with suggestive covers in high school libraries? To what extent do you agree or disagree with each of the following statements…?